Identifying medical or musculoskeletal conditions that could make sports participation unsafe. Detecting previously undiagnosed health problems. Evaluating for previous injuries that may not have been adequately rehabilitated. The sports physical should not be viewed to be the same as a general physical exam. The PPE tends to focus on sport-related issues and does not cover a number of important issues potentially impacting adolescent health such as such as tobacco use, risky sexual behaviors or improper nutrition. Scheduling an appointment with the athlete's regular doctor for a health maintenance exam along with the completion of the school's required form may be a better approach if a more in depth evaluation is warranted. Sports physicals are often performed during a mass screening. This "cattle call" method is usually performed by several health care providers at designated "stations" in a gymnasium or auditorium. 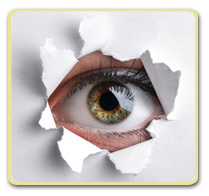 This method can result in the loss of privacy or inhibit the student from bringing up a personal concern with the doctor. Mass screenings tend to also be noisy which limits the ability of the doctor to accurately diagnose problems such as heart murmurs. Perhaps the most important part of any examination is the medical history. Relying on information provided solely by adolescents is risky. It is important that parents participate in completing these forms or be present during the exam to provide pertinent medical information. Sudden death in athletes, usually due to a congenital or genetic heart defect, is a rare, but devastating occurrence. In 2014, experts from the American College of Cardiology released a 14-point checklist designed to screen for congenital or genetic heart disease in 12- to 25 year olds. This checklist is history-based and asks about issues such as whether the athlete has had chest discomfort during exertion or whether he/she has a relative who died of heart disease before the age 50. A positive answer to any of the 14-points warrants further evaluation including an electrocardiogram. Physicians or other health care providers performing sports pre-participation examinations should be familiar with this checklist. Parents who want to try to assure the safe participation of their children should make sure that these 14 issues are adequately addressed. 9. Give your eyes a break. Staring at a computer screen for hours on end is a major cause of eye strain and dry eyes. Measures that can reduce eye fatigue include use of an anti-glare screen, corrective eyewear, eye lubricants, and periodic eye rest. One trick for reducing eye strain is to follow the 20-20-20 rule----every 20 minutes that you are working on the computer, look away at something that is approximately 20 feet away for 20 seconds. Most authorities including the American Academy of Pediatrics, American Academy of Family Practice, and the American College of Obstetrics and Gynecology advocate exclusive breastfeeding during the first 6 month of the baby's life. In addition to the benefits to the baby, there are benefits to the mother and to society also. With the month of August designated as National Breastfeeding Month, let's look at some of these benefits. Benefits of Breastfeeding for Babies. Breast milk is a nutritionally complete food source for babies with a near perfect mix of vitamins, protein, and fat. Breast milk contains maternal antibodies that can help the child resist a number of infectious diseases. This includes gastrointestinal tract infection (e.g. diarrhea), respiratory tract infections (e.g. colds), urinary tract infections, and otitis media (middle ear infection). Additionally, infants who are not breastfed have a higher risk of experiencing sudden infant death syndrome (SIDS). Studies have shown that the effects of breastfeeding may also protect young children and adolescents from becoming overweight, having elevated cholesterol levels, and developing Type 2 diabetes. Giving only human milk until the intestines mature at around 6 months appears to keep potentially allergy-causing proteins out of the baby's system. This appears to reduce the likelihood of developing allergies to foods, asthma, and allergic skin rashes such as eczema. There is some evidence to suggest that exclusive breastfeeding may also provide protection against the development of Type 1 diabetes. A possible mechanism for this is that the less well digested proteins from cow's milk or soy milk may trigger an autoimmune response which targets the pancreas. In a study performed in Brazil, individuals who were exclusively breastfed were found to have higher IQ scores (Wechsler Adult Intelligence Scale) at age 30 as compared to those who were never breastfed. Benefits of Breastfeeding for Moms. Breastfeeding releases a hormone in the mother called oxytocin that causes the uterus to return to its normal size more quickly. The process of milk production consumes additional calories, helping with reducing back to pre-pregnancy weight. Women typically lose 3 to 5 percent of their bone mass during breastfeeding, although they recover it rapidly after weaning. Some studies suggest that the more times a woman has been pregnant, the greater her bone density becomes which lowers her risk of fracture later in life. Research suggests that breastfeeding has a slight effect on lowering the risk of developing breast cancer. This is noted primarily among women who have breastfed for a considerable length of time. An analysis performed by the US Department of Agriculture in 2001 found that "a minimum of $3.6 billion dollars would be saved if breastfeeding were increased from the current levels (64 percent in-hospital, 29 percent at 6 months) to those recommended by the U.S. Surgeon General (75 and 50 percent)." This amount took into consideration the reduction in medical expenses related to the treatment of only 3 common childhood illnesses (otitis media, gastroenteritis, and necrotizing enterocolitis). In all likelihood this figure would be even higher today considering the newer recommendation to breastfeed exclusively for the first 6 months of life. Continuous breastfeeding (every 4 to 6 hours) can serve as an effective means of contraception during the first 6 months after delivery. While a woman is continuously breastfeeding, her body does not make a hormone that is necessary for the release of an egg from an ovary. Particularly in developing countries, this has been an important means of controlling population growth. It has been estimated that breastfeeding, instead of feeding with commercial formula, can result in a savings of between $800-1000 per year. Clearly, exclusive breastfeeding presents challenges, particularly for women in the workplace. An interesting presentation of some of these challenges as well as a rebuttal of some of the claims made in this and other articles extoling the benefits of breastfeeding are mentioned in an Atlantic Monthly opinion piece titled, "The Case Against Breastfeeding". Nevertheless, by the end of the article, the author and mother of three who had exclusively breastfed two of her children and was partly breastfeeding the third states, "I also know that this is probably my last chance to feel warm baby skin up against mine, and one day I will miss it." Is There Really Such a Thing as a Summer Cold? The term "summer cold" is something that most of us have heard about, but aside from its seasonal occurrence, is there anything really different about this type of cold? common cold can be caused by more than 200 different viruses, however, up to one half are caused by a class of viruses known as rhinoviruses. Rhinoviruses are the predominant cause of colds in winter, being much more prevalent in cooler months. With warmer weather, the viral profile changes with another class of virus, enteroviruses, becoming more prevalent. Enteroviruses are estimated to cause an estimated 10 million to 15 million illnesses each year, usually between June and October. Differences in rhinovirus and enterovirus infections. Both rhinoviruses and enteroviruses are causes for the common cold. Like rhinoviruses, enteroviruses can infect the tissues in the nose and throat, leading to the well-known cold symptoms of running nose, nasal congestion and sore throat. At the onset of infection, enteroviruses appear to be more likely to cause a fever than rhinoviruses. Headache is also a more common symptom with enterovirus infections. Particularly in children, a rash characterized by small, flat red dots on the skin of the chest and back is common. Mouth ulcers and conjunctivitis (pink eye) appear more common with enterovirus infections, especially in children. Gastrointestinal symptoms, including diarrhea, vomiting and abdominal pain, also points to the likelihood of an enterovirus rather than a rhinovirus cause for the cold. Does it make a difference which virus causes the cold? Basically no. Both infections are "self-limited", meaning that they will resolve on their own in about a week. Treatment for the most part is "symptomatic", meaning taking medication specifically for fever, sinus congestion, muscle aches or headache. Antibiotics are ineffective at shortening the duration or severity of either illness. Some authorities, however, believe that when an enterovirus causes the infection, the cold may last longer than a rhinovirus-caused cold. What complications can occur with an enterovirus infection? Rarely, enterovirus infections can cause more serious problems such as an infection of the lining of the brain and spinal cord (meningitis) or infection of the heart muscle (myocarditis). A variant of the infection seen most commonly in children is known as "Hand-Foot-Mouth Disease". This disease is characterized by ulcerations seen on these three areas of the body. Rhinoviruses and enteroviruses are spread by coughing and sneezing. Avoid close contact with people who have a cold, especially during the first few days when they are most likely to be infectious. Wash your hands after touching someone who has a cold, after touching an object they have handled, and after blowing your nose. Keep fingers away from your nose and eyes as this is a way that the virus can be introduced into your body. Do not share bath towels or toothbrushes with someone with a cold. If you think that you have a cold, try not to infect others. 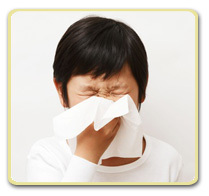 Cover your nose and mouth with a tissue when coughing or sneezing, then throw the tissue away and wash hands. Also, avoid contact with people who appear to be most vulnerable to contracting the infection, such as anyone with asthma or chronic lung disease (COPD, emphysema, etc.). A summer cold, particularly one caused by an enterovirus does have some unique features as compared to most colds that occur in the wintertime. Perhaps the worst aspect of a summer cold is the season that it occurs. It can be particularly miserable to be saddled with a cold when the weather is warm and sunny and you would much prefer to be outside enjoying it instead of being confined to the bed at home.